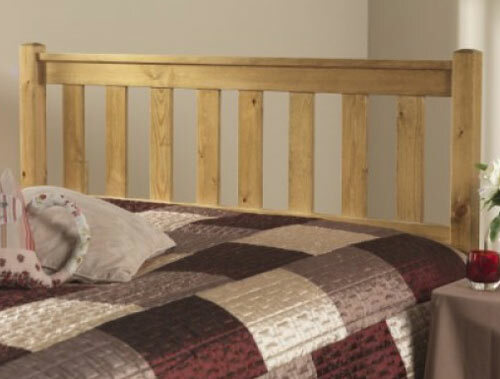 The Friendship Mill shaker pine headboard is made in the United Kingdom using high quality Scandinavian pine and is offered in 5 sizes and 4 colour finishes including a painted white. The Shaker headboard is offered in completely natural and unstained, or varnished this is called naked, or with a clear natural lacquer, or an antique pine colour as a standard price and in a painted white finish for a small upgrade. Each headboard is despatched by the maker direct to you in 7-10 days.